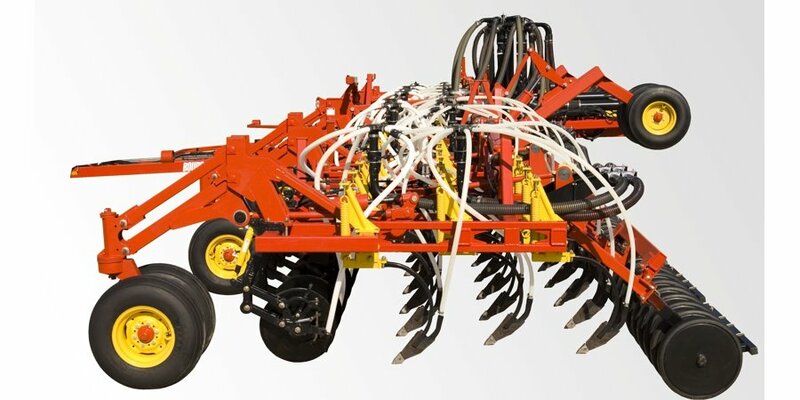 5810 AHD Specifications - Bourgault offers 5810 AHDs from 42' (10.7 m) to 72' (18.3 m) and on 9.8" (250 mm) or 12.6" (320 mm) spacings. Bourgault Spring Trip Assembly - Bourgault continues to build on the spring trip design that revolutionized seeding. Durable Design - Spend less time in the yard and more time in the field. Packer Options - Pick the packer style the best suits your conditions. Precise Depth Control - Reliable frame setting and seed depth control. 5810 AHD Running Gear - 5810 AHD tires are customer approved! Compact Transport Configuration - The 5810 AHD features a very compact folding system to make transporting through smaller passages easy. Good Contouring Characteristics - The 5810 AHD delivers a very shallow contouring depth to follow field topography. Opener Choice - Configure the 5810 for your specific needs. Series III Mid Row Banders - Achieve optimal nitrogen fertilizer placement in a one-pass seeding operation. 5 op. / 7 trans. Single shoot & double shoot air kits available. Blockage monitors available for secondary or tertiary air lines.